A smaller version of our Youth sized tie die Colorado Flag short sleeve t-shirt. Each one is unique. 100% cotton comes like you see it.adult hat. 100% cotton. Adjusts to fit most youth heads. Looks great, fits right! 100% washed cotton. One size fits all. A classic Colorado 'C' logo on a truck cap. Washed twill front with a mesh back. 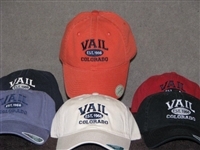 A classic embroidered Colorado 'C' logo on a solid 100% cotton hat. One size fits all with an adjustable back. Love music? Love Colorado? This adjustable snap back hat complete with a washed twill front and a trucker style mesh back has become a new local's favorite! Love music? Love Colorado? This adjustable snap back hat is made from quality washed twill, 100% cotton. A new local's favorite! Get one while they still rock.